The researchers found that more than 200 commonly used medications include depression as a possible side effect. The list includes certain proton pump inhibitors (PPIs) used to treat acid reflux, beta blockers, painkillers (including ibuprofen), anti-convulsant drugs, ACE inhibitors used to treat high blood pressure, and anxiety drugs. The risk for depression also increases when taking several of these drugs at the same time. “The more of these medications you’re taking, the more likely you are to report depression,” says Mark Olfson, author of the study and professor of psychiatry at Columbia University. “It was both surprising and worrisome to see how any medications have depression or suicidal symptoms as a side effect, given the burden of depression and suicide rates in the country, said Dima Mazen Qato, an assistant professor and pharmacist at the University of Illinois at Chicago and lead author of the study. The study was published on Tuesday in the Journal of the American Medical Association, and featured the results of 26,192 adults who participated in the National Health and Nutrition Examination Survey. At the time of the survey, all participants listed the medications they were taking and completed a depression screening that measured mood, sleep, and appetite. Over one-third of participants were taking medications that had depression as a possible side effect. The goal of the study was to determine whether these individuals were more or less likely to experience depression compared to those who didn’t take any of these medications. The study found that not only are individuals on these medications more likely to experience depression, but when taking multiple medications, they are three times more likely to be depressed. Fifteen percent of participants who used three or more of these drugs at once were depressed compared to lower rates for those who only used one. Conversely, only five percent of participants who didn’t use any of these medications were depressed. Despite the results, the researchers say they didn’t prove the medications cause depression. “We didn’t prove that using these medications could cause someone who was otherwise healthy to develop depression or suicidal symptoms. But we see a worrisome dose-response pattern: the more of these medications that have these adverse effects that you’re taking concurrently, the higher the risk of depression,” said Dr. Qato. The researchers also accounted for other risk factors that can cause depression when doing the study, including marital status, unemployment, poverty, and medical conditions like chronic pain. 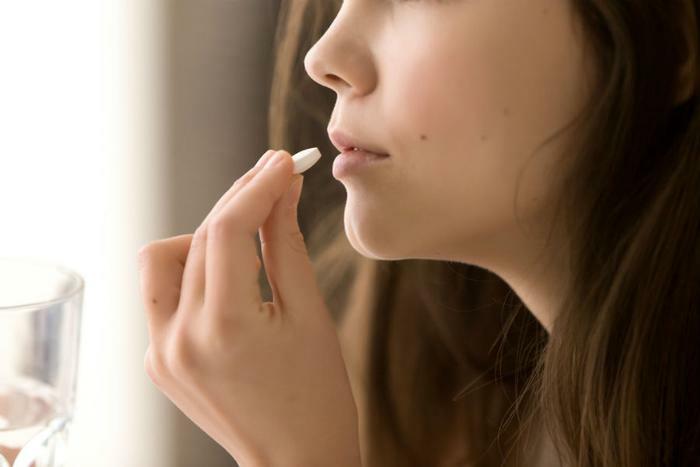 “The study is an important reminder that all medicines have risks, and most medicines have rare but serious risks -- yet another reason that even commonly used medicines such as beta-blockers or proton pump inhibitors should not be used cavalierly,” said Dr. Caleb Alexander, co-director of the Center for Drug Safety and Effectiveness at Johns Hopkins Bloomberg School of Public Health. The researchers hope that the findings from this study urge people to have important conversations with their healthcare providers when taking medication. “With depression as one of the leading causes of disability and increasing national suicide rates, we need to think innovatively about depression as a public health issue,” Dr. Qato said.